It has been years since we purchased commercial soft drinks like Coke and Pepsi. 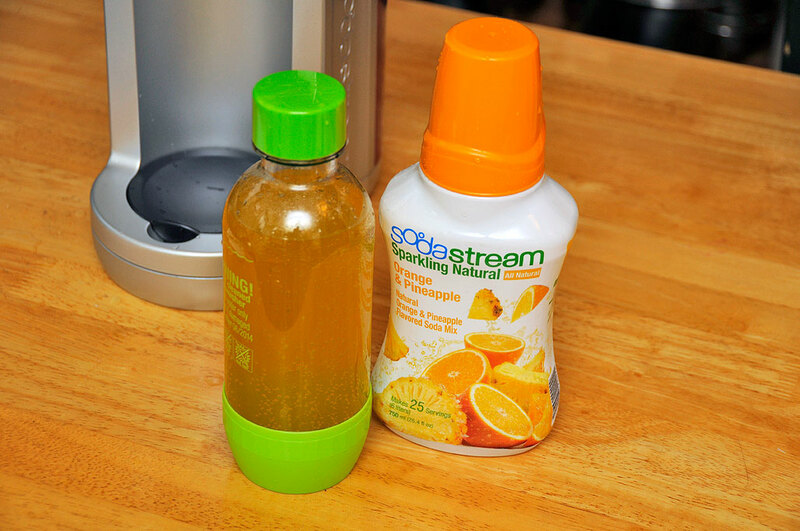 The reason is SodaStream. Having a SodaSteam machine in the office has changed the way we think about soda. Soda is something we make when we want it, not something we buy when we run out. The only time we can’t make soda is when we run of CO2 in the gas cartridge. This is not a big deal as a quick call will get a fresh bottle delivered the next day. However, to keep even that from catching its customers by surprise, SodaStream has created a new machine called the FIZZ. This new machine has a built-in monitor that shows how much gas remains in the canister. Also new for this year are new flavors and smaller bottles. In looking at the chip, we are intrigued as to how the whole mechanism works. As there are no visible contacts for how the chip might be connected to the carbonating mechanism, our best guess is that gas pressure is somehow being detected in the chamber. However, how that is accomplished is not clear. There is a slot at the top of the chamber. At first glance, we thought it was just for the clip to secure the module. In thinking about it, there may be sufficient space to allow gas into the chamber. However, what is unclear is how it determines the pressure in the two different bottles (gas canister, soda bottle). Of course, it may just be a counting the number of times the gas release lever has been pushed and extrapolating from there. In any case, we cannot tell from examining the sensor or the machine. 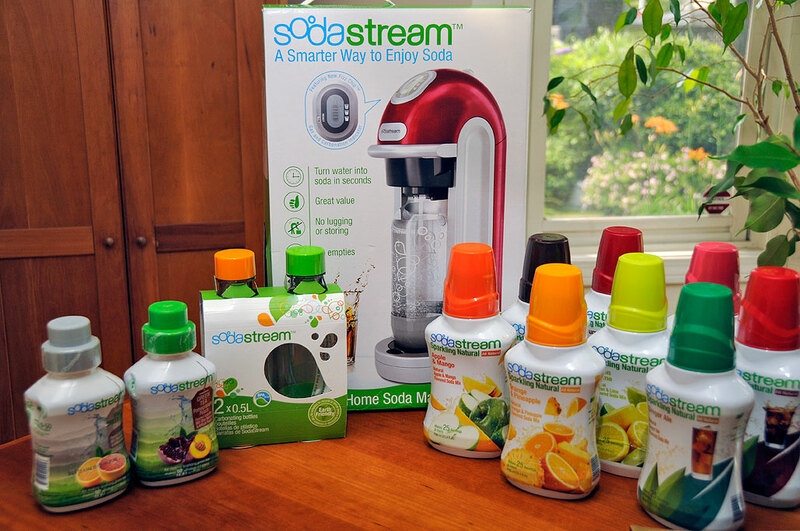 We have asked SodaStream for a bit of an explanation and will post an update if we find out more. Here are the few things we noticed from our brief experience with the Fizz sensor. The user must tell the sensor what size gas canister (130L or 60L) has been mounted. The sensor is activated when the bottle is attached. There is no indication what size bottle has been attached (and really does not matter). We had trouble getting the indicator to show the amount of carbonation of the water. Unclear if there was a problem with the sensor of if there was some other reason. However, the point to note is that the Fizz sensor is just an indicator, it has no influence on whether the machine will function. We like the look of the new machine. We also like the idea of knowing how much CO2 is still in the canister. While we would like to know more about how the sensor does its job, we are even more eager to find out how the new flavors taste. Hopefully, by the end of Fall, we will be able to let you know more about both.